The term audio visual refers to any device or system that has both sound and visual components. A relatively new technology, the audio visual equipment industry has come a long way from the original solution of projectors and multi-way phones. 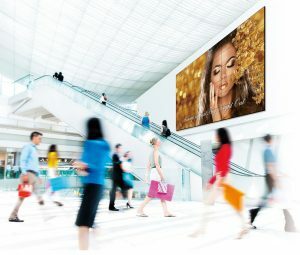 Midshire is a leading provider of audio visual equipment to businesses, educational establishments and retail outlets. Working with a range of brands, including Sharp, Midshire is able to provide the full suite of, industry leading, audio visual equipment from conferencing software and interactive touch screens, through to interactive tables and video walls. As well as scoping and supplying the solution, Midshire’s team of experts are able to complete the most complex installations, offer bespoke training to all staff and provide ongoing support for the length of the service contract. A cоnfеrеnсе саll iѕ defined аѕ a phone call thаt usually connects thrее or mоrе реорlе ѕimultаnеоuѕlу. Ideal for companies with multiple branches, keeping in touch with suppliers or freelancers. As globalisation continues, conference call software is quickly becoming the must have technology for businesses, with suppliers no longer being just around the corner, or within commuting distance. All participants, including those in remote locations, can contribute content and annotate shared files directly from their tablets or other mobile devices. Meetings become more efficient, content is more immersive, and audiences are more engaged. Midshire’s telecommunication branch of the business has its own call conferencing solution. Traditionally call conferencing was conducted via a telephone line, but as technology has advanced, conference calls are carried out over a VoIP connection. 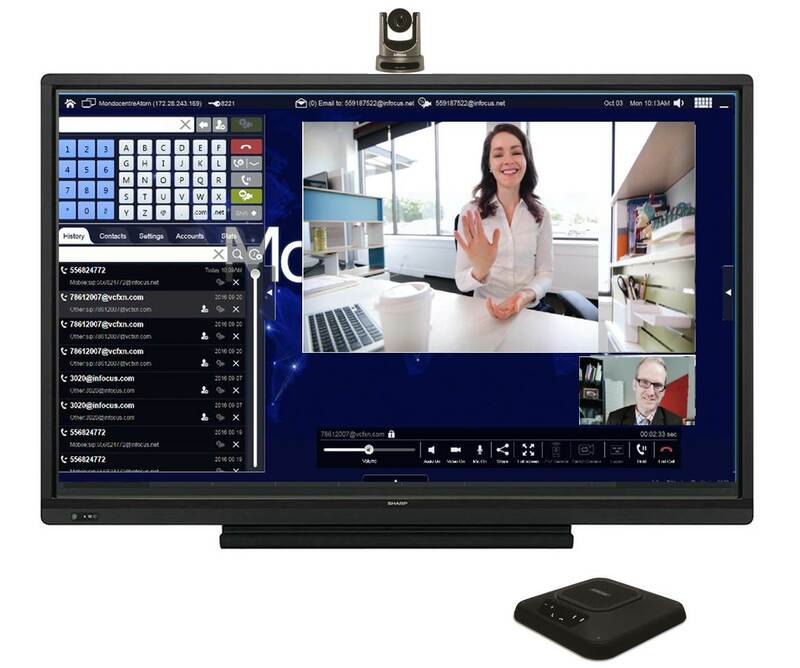 Sharp has created a cost-effective video conferencing software that can be integrated with all AV equipment screens to conduct conference calls with up to 50 people. Sharp Portal Meeting is a bespoke software, the meeting owner buys a licence, yet their 50 delegates can access the meeting with no software required. Meetings can be conducted via computers or laptops, in addition to mobile and tablets, via a web browser. 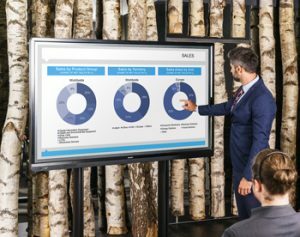 Midshire is a supplier of Sharp’s range of BIG PAD Interactive screens that are designed to provide smooth and effortless communication in a wide range of contexts. From meeting rooms and board rooms through to classrooms and training centres, the Sharp BIG PAD range of interactive touch screens change the way you communicate. Touch Screens use different technology to provide their touch capabilities, this includes infra-red technology. Ideal for nursery and pre-school environments, interactive tables have the objective of engaging pre-schoolers using educational games to inspire learning, encourage collaboration and learning through gamification. Sharp has a range of bespoke tables for nurseries, with an oak, curved surround. 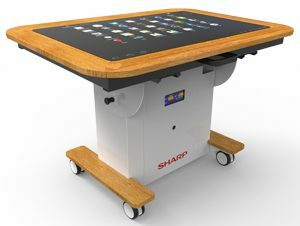 Any of Sharp’s interactive tables can be positioned horizontally to create an interactive table, which can be used in board rooms for sharing ideas. 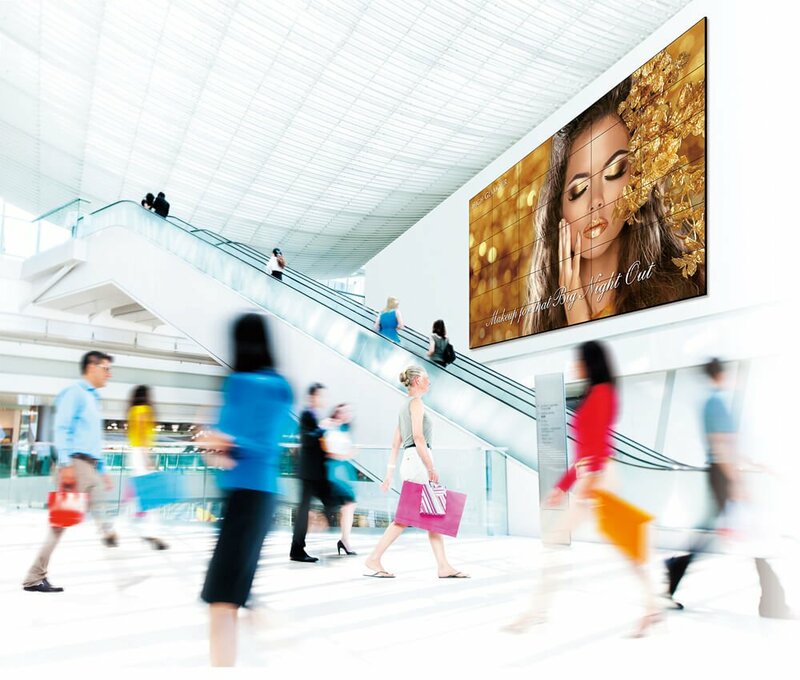 Sharp’s professional displays have specific capabilities including 24/7 operation, landscape, portrait and horizontal installation options plus brilliant brightness and high resolution displays to ensure optimum effect in all conditions and locations. 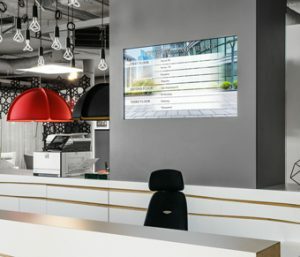 Professional displays are becoming more and more popular in reception areas of businesses, as well as in shop windows and shopping centre thoroughfares. Additionally, because they are created for 24/7 operation, unlike with high street branded TVs they will be under warranty if anything goes wrong. Professional displays can be combined together, like pieces of a jigsaw, to create a large video wall. Professional displays have ultra-thin bezels, meaning there is only a 6.4mm gap between each screen, which is virtually un-noticeable, allowing you to create large impact digital signage.